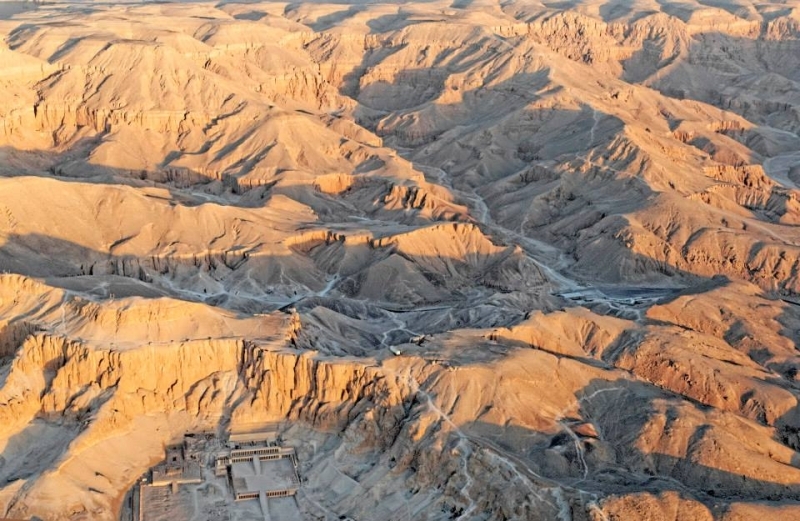 On the West Bank of the River Nile opposite Luxor City, is the site of the world renowned ‘Valley of the Kings’ which still is the most well known site for excavations of antiquities and ancient remains. Across this expansive area are many fascinating structures, tombs and Temples including the burial chamber of the boy King Tutankhamun, Queen Hatshepsut’s Temple and the two Colossi of memnon to name just a few. Early in the New Kingdom, during the 18th dynasty, preference was often given to sites at the base of the sheer cliffs that surround the Valley of the Kings, ideally below gullys through which, in the rare event of rain, a "waterfall" would pour over the cliff and deposit debris over a tomb's entrance, burying it ever deeper over the centuries. In the late 18th and 19th dynasties, the preferred location was in lower-lying talus slopes; in the 20th dynasty, it was one of the small spurs of bedrock that extended from the valley's sides . 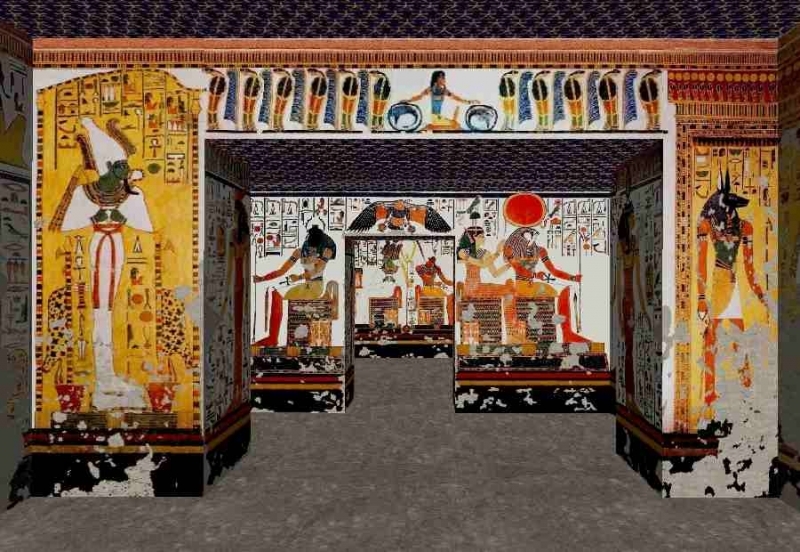 We know a great deal about how Valley of the Kings tombs were cut and decorated in part because of thousands of objects and inscriptions found in the village of Dier el-Madina. 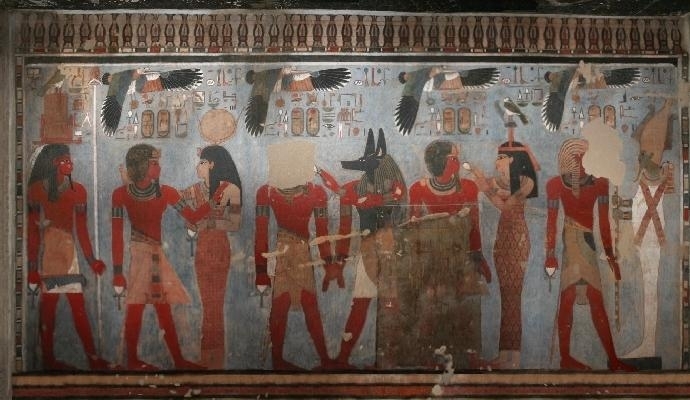 Dier el-Madina lies about a kilometer (mile) south of Valley of the Kings and during the New Kingdom it served as the home and burial place of the artisans who carved and decorated the tombs of the Valley of the Kings. The remains of about 70 houses can be seen en the village proper, and during the New Kingdom about 400 people lived here in small stone dwellings built along a narrow street. Many different specialists lived at Dier el- Madina: quarrymen, plasterers, scribes, sculptors, architects, draftsmen- all the skills needed for the preparations of the royal tombs. They were paid for their labor in kind: bread, beer, dried, fish onion and other vegetables. The men worked eight hours a day for eight days, then took two-day week-end. 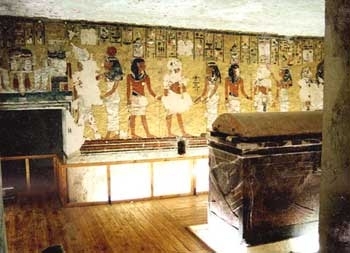 Note* Tickets are sold per three tombs, with a separate ticket for the tombs of Ay and Tutankhamun, from the ticket office at the entrance to the Valley of the Kings. Also here is the Visitor Centre where you can see a film about the discovery of the tomb of Tutankhamun. 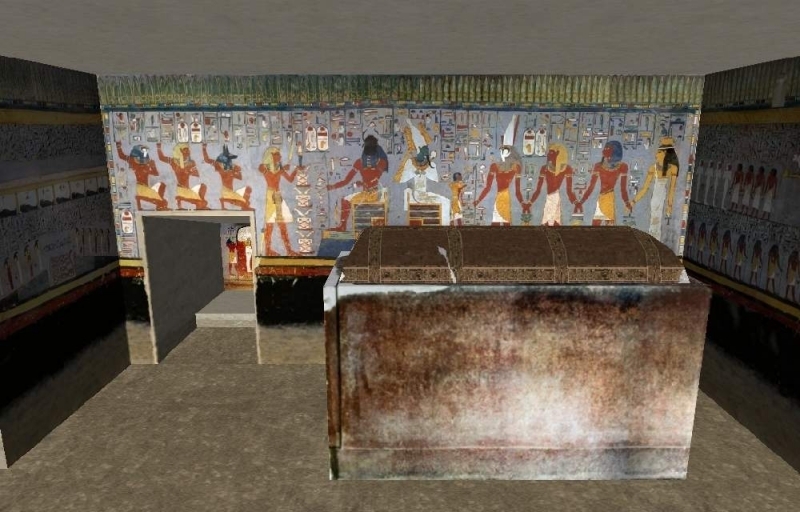 Tomb openings are rotated to protect painting from human damage. 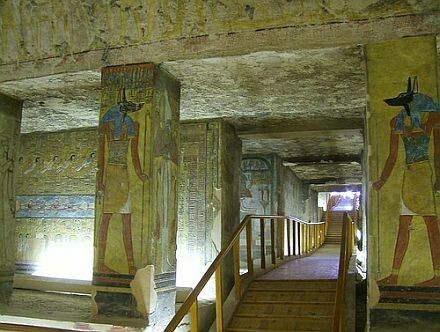 To avoid the crowds head for the tombs farther away from entrance.